Hunting in Rhode Island?? 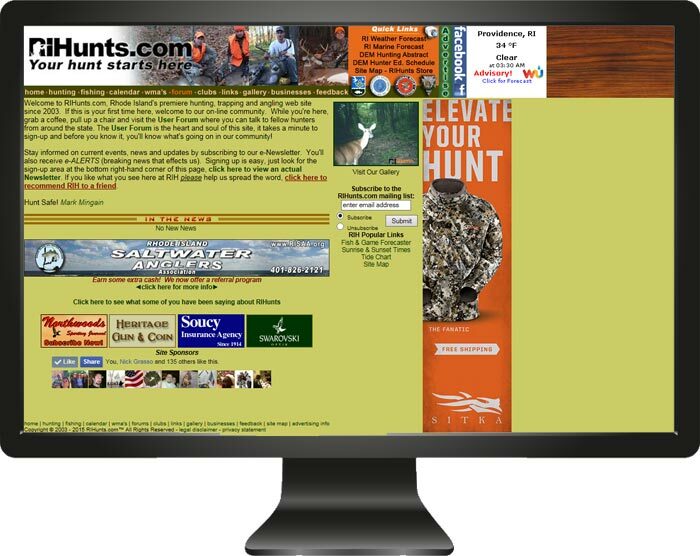 M2 designed a comprehensive web portal for the sportsmen & women of RI. The site includes maps, links, club listing, business directory, a feedback section, calendar, an interactive user forum, photo gallery and a mailing list to keep its members updated with any issues concerning them. We also incorporated an e-commerce storefront solution for them to sell merchandise.